Not used to sending pics but hey, only live once. 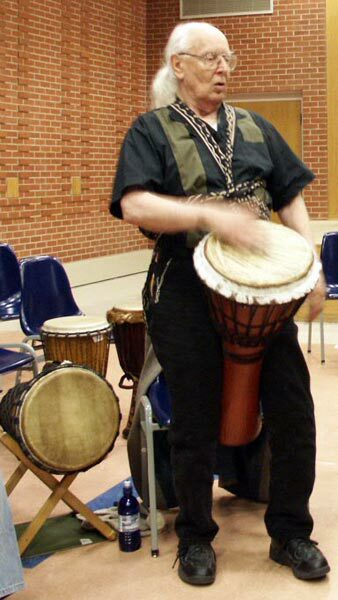 I am 76 and started playing the djembe in 1992 and now do free drum workshops and lessons after the method of my teacher Babatunde Olatunji. Was a Medical Doctor and gave it up for the drum. Wise choice.